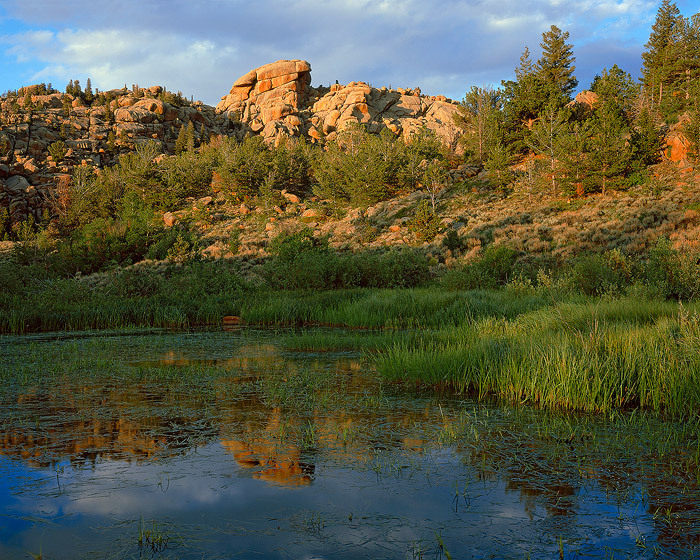 A beaver pond at sunset in mid-summer highlights the beauty of the Sherman granite formations of Vedauwoo's Turtle Rock. Field Notes: Ebony 45S camera, Rodenstock 150 APO-Sironar S lens, Fuji Provia film. Photo © copyright by Brett Deacon.